There's more to come: We continue to shout our praise even when we're hemmed in with troubles, because we know how troubles can develop passionate patience in us, and how that patience in turn forges the tempered steel of virtue, keeping us alert for whatever God will do next. Well ladies, one more V today. To Victory and Viewpoint, we add V is for Virtue. Only, come to think of it, arriving at virtue can be no fun. 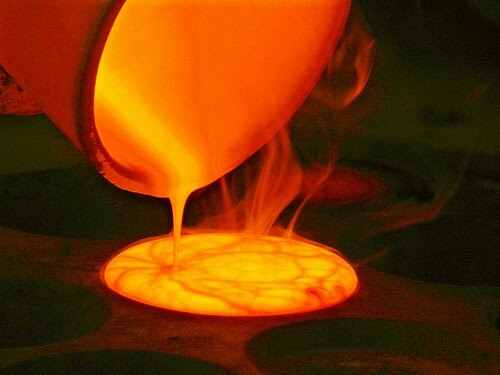 From the Greek definition we learn that virtue is one’s proof of being genuine or trustworthy, further explained by its root word dokimos: “to be tried as metals are tried by fire and thus are purified.” The NIV translates virtue as character; KJV as experience; my dictionary as excellence. But it is The Message translation that brings it to life as the tempered steel of virtue. Let me paint the picture more clearly. Visit, with me, the restored Anderson Blacksmith shop in Colonial Williamsburg, VA. I am intrigued as the smithy, at his forge, fires up the coals, pumping the bellows to get a proper balance of temperature and air so he can heat his chosen piece of steel until it is malleable. With one hand, and a long rod of course, he takes the red-hot metal out of the furnace, transferring it to his anvil. With the other hand he wields a 12-lb sledge, hammering it into the shape he desires. Ouch! That’s about what happens to our character in the furnace of life. Troubles will come our way, troubles enough to try our patience and destroy our witness and hope—unless, perchance, we shout our praise in the midst of those troubles. Then our patience will take on a persevering quality which will not “surrender to circumstances or succumb under trial” (Strong’s definition of passionate patience—hupomone). You see, while God may not have thrown us into the fiery furnace, once there He has His hand at the forge, pumping the bellows, controlling the airflow, molding our character as if it were tempered steel into a strength that is both enduring, and useful to Him. Once we realize God is an expert Smithy, we just need to be alert for whatever (He) will do next. God began all this: By entering through faith into what God has always wanted to do for us—set us right with him, make us fit for him—we have it all together with God because of our Master Jesus (Romans 5:1 MSG). That is the Victory we hold onto dearly. And although Virtue may not sound particularly inviting while patience is pounding away, we can learn to develop an eye from God’s Viewpoint at the circumstances we are under. Jesus, we will shout our praise even when hemmed in.